The first of my guest bloggers is Angie who writes The Beauty Belle, I am so happy Angie wanted to post for me as I have followed Angie's blog since I first started blogging and absolutely love her! Today i'm doing a quest blog post on the gorgeous Emma's blog!! Today i'm going to do a post on the top ten items you need for a stylish Springtime, because all the lovely weather (all two days of it, but hey! I'm from the UK, any sun is a treat!) has put me right in the mood for Spring to be springing! 1. 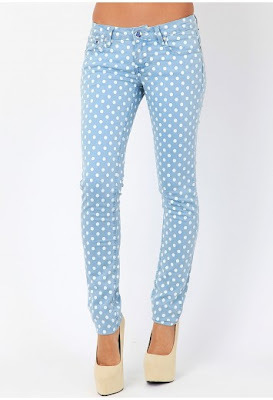 Loryn Polka Dot Skinny Jeans - Missguided.co.uk - £28.99. If these trews had a mouth they'd be screaming ''SPRING!!'' at the top of their lungs! Everything from the pastel colour (expect a lot more pastels in this top ten, Spring is all about them for me) to the super cute polka dot print makes them all you need to pep up a Spring day! 2. 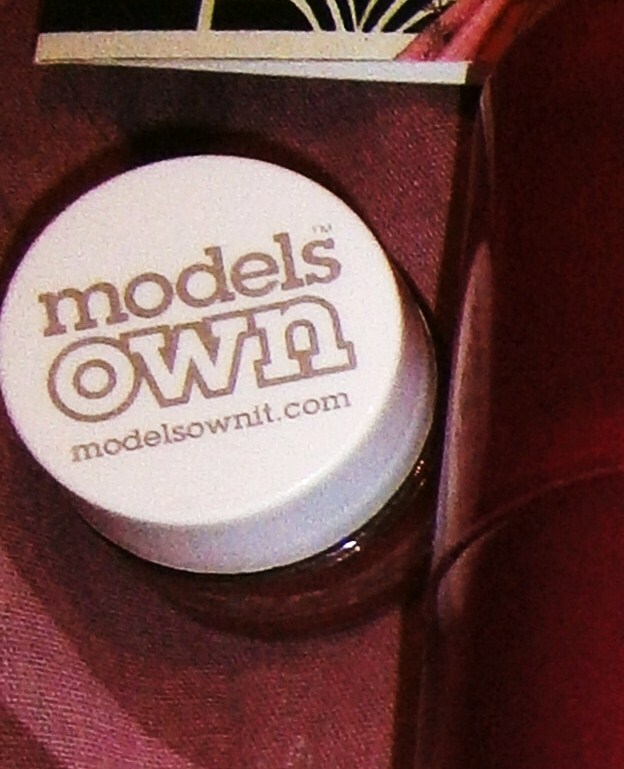 Models Own nail varnish in Peaches & Cream - Asos - £5.00. Everyone needs a gorgeous coral pastel like this one to Spring their nails right up! Other favourite pastel nail varnishes of mine are Blueberry Icecream and Berry Icecream, both from Barry M.
3. W7 Silky Blusher in Angel - Amazon - £2.50. For so cheap these blushers really are brilliant! I love a more shimmery blush in the Spring, as opposed to the Winter when i like a matte colour on my cheeks, and this is super-shimmerific! It adds a gorgeous flush to my face and lasts ALL day, such great value for the price, you can also buy this from eBay. 4. 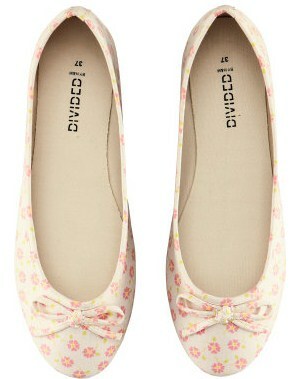 Floral ballet pumps - H&M - £7.99. I'm usually not a massive fan of florals but these have such a cute and inoffensive pattern that i can't resist! They'd be perfect for those days when it's too cold for sandals but also you don't want your feet to sweat like a pig in some boots. H&M are great for sweet little pumps, especially at the bargain price of £7.99, they do them in so many colours there will be something for everyone! 5. 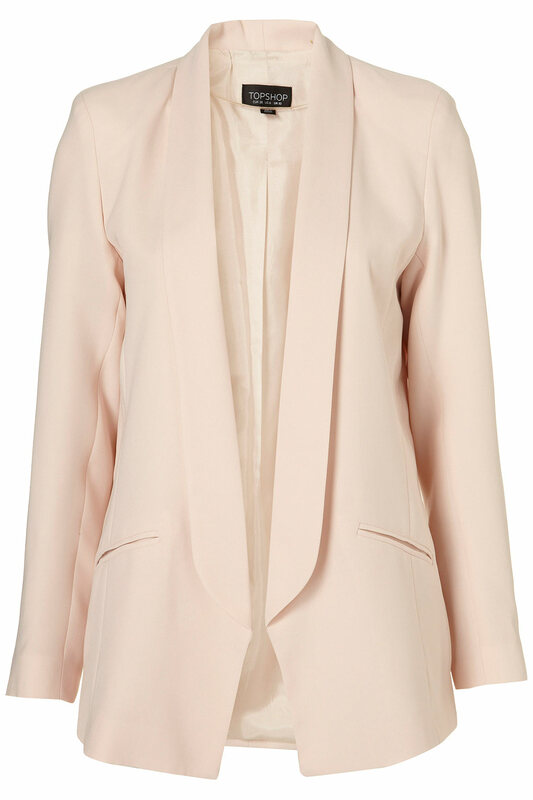 Silk blouse with pocket - Zara - £39.99. Yes, this shirt is a little on the pricey side, but it IS 100% silk! A piece like this is perfect for a UK Spring too, because you don't know whether it's going to be warm or chilly and this shirt would work for either occasion! Plus there's that stunning teal colour, bright enough to cheer you up but muted enough for even the most colour shy dresser to wear :). 6. Woven Cut-Out Oxfords - Forever21 - £18.75. Cut-out brogues, whatever will they think of next?! These lovelies are great for giving the mannish shoe a more girly spin for the warmer months, plus the colour is so easy to wear you could wear them with anything, a hard working shoe! 7. Mango Peach Salsa Yankee Candle - eBay - £1.20. This is just the MOST gorgeous smell! In the Winter my room was filled with warm cinnamon scents but now that a ray of sunshine has peeked through the clouds i'm in the mood for fruity scents! Other favourites of mine include Bahama Breeze, Sparkling Lemonade and Sweet Strawberry, i always buy tarts to burn because i think they're great value for money, they last so long and are so cheap from eBay! 8. Models Own lip balm in Tangerine - Models Own website - £5. Sorry for the pooey picture of my lips but it was the best one i could get! But i think it shows how pigmented this lipbalm is, considering it's just one coat! It's also super nourishing and lasts for ages, even if you've been eating or drinking! Orange/coral lip colours just spell out Spring to me, i don't know about you! 9. 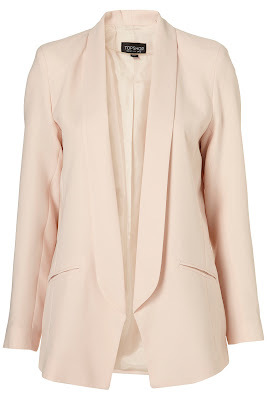 Pastel peach fluid longline blazer - Topshop - £65.00. 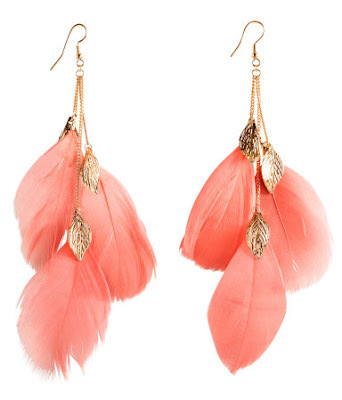 Feather earrings - H&M - £2.99. What is a outfit without accessories after all?! These would look so pretty with your hair in a updo on those days when it's just too warm to have your hair down! 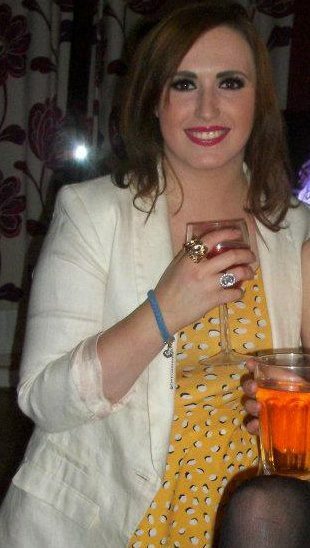 Please check out Angie's blog http://angiebeautybelle.blogspot.co.uk/. Such great choices, I love the pink blazer and Yankee candles smell amazing. wow...everything here is absolutely adorable!! Yay thanks guys!! :D So happy i got to blog on Emma's blog, she's a star! !